After a month spent battling the rain drops, Godfather Motorsports’ new Trinity Oaks Senior Living Community Ford will make it competitive debut Saturday night in the Pro All Stars Series “Scorcher 150” at Southern National Motorsports Park in Lucama, NC. Veteran driver Glenn Sullivan of Westbury, NY will be at the wheel of the No. 1 Ford Fusion, as youngster Tyler Dippel honors a National Honor Society Commitment at Fordham University that evening. Rotating practices for the six-division program begin at 12:30 p.m. ET Saturday, with time trial qualifying set for 5:00. A special “Fan Pit Party” will take place on the race track at 6:30, with fans invited to collect autographs and photos from their favorite PASS Super Late Model drivers. Feature racing is scheduled to begin at approximately 6 p.m.
About Godfather Motorsports – Godfather Motorsports is owned by Motor Racing Network and Sirius XM NASCAR Radio personality Dave Moody and enjoys major sponsorship from Trinity Oaks Senior Living Community of Salisbury, NC and Bebida Beverage Company’s KOMA Unwind "Liquid Relaxation" drink. The team also boasts a comprehensive list of technological and marketing partners that includes Valvoline Motor Oil, Eibach Springs, ASM Graphics, Race 101, CV Products, ARBodies and Phantom Racing Gear. For additional information on the team and marketing opportunities with Godfather Motorsports, contact Dave Moody -- mrnturn1@hotmail.com. Visit the Godfather Motorsports website at www.GodfatherMotorsports.com. About Trinity Oaks Senior Living Community -- Located in historic Salisbury, North Carolina near the gently rolling hills of the Blue Ridge Mountains and a few hours from the magnificent Carolina beaches. The community is conveniently located near Interstate 85 and midway between two airports, Charlotte and Greensboro, making travel easy. Here, the area is highlighted by gentle changes in the seasons. Trinity Oaks is a continuing care retirement community where those 60 and over focus on enhancing life’s many opportunities. The Trinity Oaks campus has become a Salisbury landmark where traditions of the past blend with the culture of the future. historic Salisbury, NC, Trinity Oaks is a continuing care retirement community where residents age 60 and over enjoy a lifestyle filled with activities, group and individual outings and personal enrichment opportunitie. Its impeccably maintained campus is a Salisbury landmark, blending traditions of the past with state of the art amenities, fine dining and time spent in the company of others who share a passion for life. Learn more about Trinity Oaks at www.trinityoaks.net. Jerick Johnson and the KOMA Unwind Super Late Model team return to action Saturday night in the Pro All Stars Series “Scorcher 150” at Southern National Motorsports Park in Lucama, North Carolina. It has been a slow month for Johnson, KOMA Unwind and Godfather Motorsports, with Mother Nature holding the team to just one outing in the last 30 days. But with a favorable forecast in place for Saturday evening, Johnson said he hopes to get back on track – both literally and figuratively – with a solid run on the fast, 4/10ths-mile oval. The “Scorcher 150” is part of a massive, six division program, along with the PASS Pro Late Models, Southern National Limited Late Models, Street Stocks, U-Cars and Bandoleros. Rotating practices begin at 12:30 p.m. ET, with time trial qualifying set for 5:00 p.m. A special “Fan Pit Party” will take place trackside at 6:30, with fans able to collect autographs and photos from their favorite PASS Super Late Model drivers. Johnson and his Godfather Motorsports team will also hand out complimentary samples of KOMA Unwind “Liquid Relaxation Drink” to fans. Feature racing begins at approximately 6 p.m. Saturday night. About Godfather Motorsports – Godfather Motorsports is owned by Motor Racing Network and Sirius XM NASCAR Radio personality Dave Moody and enjoys major sponsorship from Bebida Beverage Company’s KOMA Unwind "Liquid Relaxation" drink. The team also boasts a comprehensive list of technological and marketing partners that includes Valvoline Motor Oil, Eibach Springs, ASM Graphics, Race 101, CV Products, ARBodies and Phantom Racing Gear. For additional information on the team and marketing opportunities with Godfather Motorsports, contact Dave Moody -- mrnturn1@hotmail.com. Visit the Godfather Motorsports website at www.GodfatherMotorsports.com. NASCAR has announced several moves aimed at strengthening its touring and weekly series and broadening the level of experience within its competition department. Former crew chief Chris Wright has been named Director of the NASCAR K&N Pro Series East, while Kip Childress transitions to become the NASCAR K&N Pro Series West Director. In addition, veteran team manager and Daytona 500 winning crew chief Tony Glover has been appointed as the NASCAR Touring Series Technical Director. Les Westerfield, who has served as the interim NASCAR K&N Pro Series West Director during the first half of the season, will resume his role as NASCAR Touring Series Technical Coordinator and NASCAR K&N Pro Series East Race Director. “NASCAR is committed to enhancing the competition and organization throughout all of our series,” said Brad Moran, NASCAR Touring Series director. “Kip Childress has provided tremendous leadership and guidance in the NASCAR K&N Pro Series East over the last several years. Chris Wright brings a wealth of experience in the garage, and provides us with an opportunity to have a seamless transition. 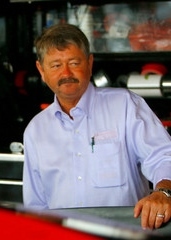 As a crew chief, Glover has 24 NASCAR Sprint Cup Series wins, including Daytona 500 victories working with Sterling Marlin (twice) and Ernie Irvan. He also accumulated 45 Coors Light Pole Awards with 11 different drivers and guided two drivers to NASCAR Sprint Cup Series rookie of the year honors. Childress has been the NASCAR K&N Pro Series East Director since 2008. His tenure has been highlighted by strong competition, diversity and growth in the series. 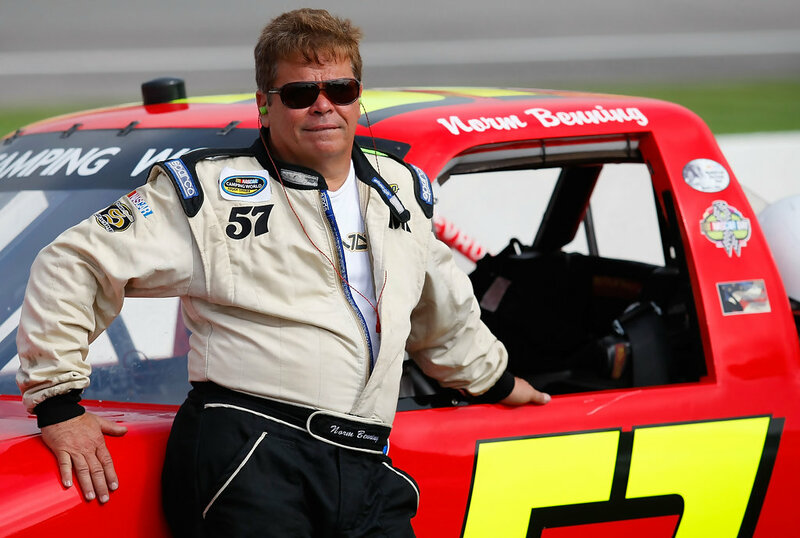 Previously, he served as an official in the NASCAR Camping World Truck Series and is a third-generation NASCAR official with more than 20 years of experience in the sport. 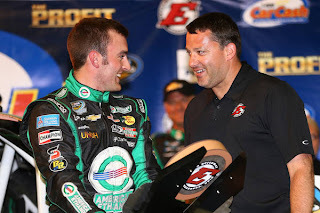 Wright has been a crew chief, shop foreman and consultant for teams in the NASCAR Nationwide Series, NASCAR K&N Pro Series and NASCAR Canadian Tire Series presented by Mobil 1, as well as Late Model teams. The University of South Carolina graduate spent more than five years apiece with Robert Yates Racing and Team Rensi Motorsports. Doug Duchardt, who joined Hendrick Motorsports as an executive in 2005, has been elevated to the newly created position of executive vice president and general manager, effective immediately. He will report to team owner Rick Hendrick and company president Marshall Carlson. In his expanded role, Duchardt, 49, will direct all racing operations for Hendrick Motorsports, which fields four cars in the elite NASCAR Sprint Cup Series. He also will manage technical relationships -- encompassing engine leases and chassis purchases -- while serving as primary liaison between Hendrick Motorsports and NASCAR’s competition group. Duchardt’s responsibilities now include oversight of all competition-related personnel and departments, including teams; engines; race car construction (chassis and bodies); research and development; human performance (pit crews); and engineering. 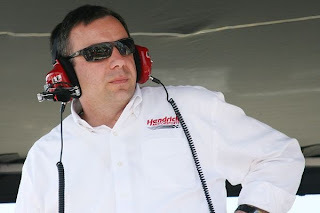 A native of Morton, Ill., Duchardt joined Hendrick Motorsports in February 2005 as vice president of development. In that position, he directed all engine, vehicle engineering, chassis and body operations. He also oversaw the company’s work on the last two generations of Sprint Cup Series race cars, including Hendrick Motorsports’ role as the lead development team for General Motors’ new Chevrolet SS. During Duchardt’s tenure, Hendrick Motorsports has won 84 Sprint Cup races and five series titles. Duchardt joined General Motors as a co-op student with Buick in 1983 and went on to graduate from Missouri University of Science and Technology in 1987 with a mechanical engineering degree. He earned a master’s degree in engineering from Purdue University in 1992 and received an honorary professional degree from Missouri S&T in 2009. After nearly a decade in various roles with the manufacturer, Duchardt joined General Motors Racing in 1996. In June 2003, he was named director of North American motor sports initiatives, overseeing programs in NASCAR, Grand-Am, American Le Mans, NHRA, IndyCar and other series. During Duchardt’s leadership of GM Racing, the Chevy Monte Carlo garnered five Sprint Cup manufacturer championships. Longtime Hendrick Motorsports executive Ken Howes will continue to serve as vice president of competition, a role he assumed in January 2005. He will report to Duchardt. Two-time NASCAR Camping World Truck Series champion Todd Bodine will make his debut for Turner Scott Motorsports at this week's Truck Series event at Pocono Raceway. 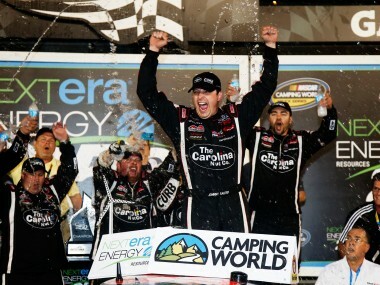 Bodine, who captured both the 2006 and 2010 Truck Series titles, will pilot Turner-Scott’s No. 30 entry, the same truck number he drove to both championships. The No. 30 Chevrolet Silverado will be crew chiefed by Jimmy Villeneuve and sponsored by Whelen Engineering/Team Fox for the one-race deal. Bodine, who will be making his 220th NCWTS start this weekend in Pocono, has tallied 22 wins, seven poles, 92 Top-5 and 124 Top-10 finishes in his career. The Chemung, N.Y. native made his first series start in its debut season of 1995, running his first full-time season in 2005. Bodine has three previous NCWTS starts at Pocono Raceway with two top-10 starts and two top-15 finishes to his credit. The 49-year-old also has 15 NASCAR Sprint Cup Series starts at the Tricky Triangle, where he's earned one pole and two Top-10 finishes. The No. 30 truck has competed in five previous events this season. Kyle Larson drove the No. 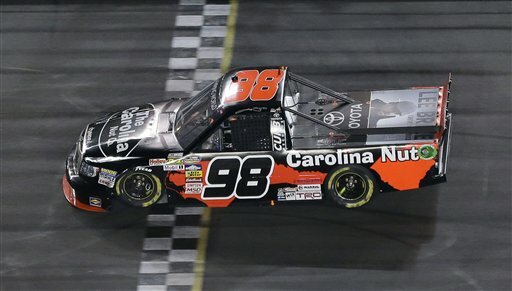 30 Chevrolet Silverado to TSM's first win of the season at Rockingham Speedway in April, in addition to earning the team a runner-up finish last week at Eldora Speedway. Ryan Truex, Nelson Piquet Jr. and Cale Gale have also been behind the wheel for one event each in 2013. "I am very excited to have the opportunity to drive for Turner Scott Motorsports," said Bodine. "It's not very often that you have the opportunity in a one-off race situation to drive for an organization and team that has continued to have such great success. We're very happy to have Whelen Engineering and Team Fox on board. Owner Sonny Whelen has been a family friend for a long time and has been a big supporter of the Bo-Dyn Bobsled Project and the Onion Slice Open since day one. He knows how important the race at Pocono is to me, and when he found out we didn't have a ride for that event, he stepped up to make it happen. Unfortunately, he has recently developed Parkinson's disease, and has become very involved in Team Fox for Parkinson's Research. We're very proud to have both organizations on the truck, and I'm also very excited to be returning to the No. 30, which has meant a lot to my career." 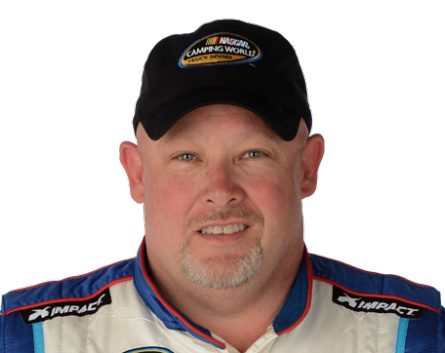 "We're very happy to have two-time champion Todd Bodine behind the wheel of one of our trucks," said team co-owner Harry Scott Jr. "Todd has been one of the strongest competitors the Truck Series has ever seen, and he is a true example of a series veteran. This is a big weekend for Todd with Pocono being the home of the Onion Slice Open, and we're proud to be a part of it." Ryan Newman is not your typical NASCAR Sprint Cup Series racer. This week, just a few days after being told that he will not return to Stewart Haas Racing in 2014, Newman sharpened his competitive pencil on home turf at Indianapolis Motor Speedway. He claimed his 50th career pole – the first in nearly two years – by bouncing runaway point leader Jimmie Johnson from the top spot, setting a new track record as the final man to qualify. He then capitalized on a race Johnson late-race miscue to claim his 16th career Sprint Cup Series win and his first since Martinsville in the spring of 2012. When an errant lug nut pushed Johnson’s final pit stop into the 17-second range Sunday, Newman and crew chief Matt Borland saw their chance to capitalize. 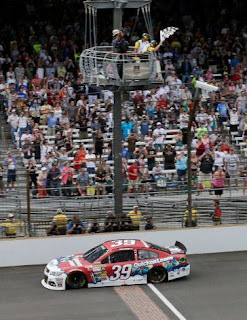 Borland called for a two-tire change and his Quicken Loans team delivered, sending Newman back to the race track with an eight-second lead that he easily held to the finish. "If you're going to win races and win championships, you have to go toe to toe with them," bottom-lined Borland afterward. 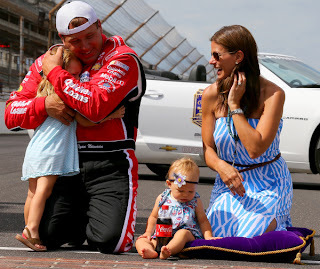 In short order, he did just that, joining wife Krissie and his two young daughters in one of the happiest “Yard of Bricks” photo ops in Indy’s two-decade NASCAR history. Year-old Ashlyn politely declined to pucker up for the cameras. Big-sister Brooklyn went through the motions, then enveloped her father in a bear hug sweet enough to make observers laugh out loud. 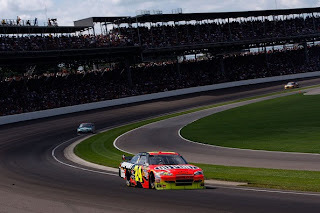 And despite the positive impact Sunday’s win will almost certainly have on his future employment prospects, Newman insisted on looking backward instead of ahead; tallying a column filled with former benefactors who helped him make it to the grandest stage any racer with Hoosier blood in his veins can imagine. “Everybody that has been a part of my racing career -- the people that bought my racing uniform, bought me a right rear tire, gave us a credit card to get to some racetrack at some point in my career -- those are the people who helped me get to where I am today," he said. “It's awesome to be here at Indy. It's awesome because it's my home state. I've raced go karts at every go kart track around here (and) been kicked out of half of them. Those are the things that make it special. I think about those things more than I carry the emotion on my cheeks." That’s all the emotion you’re gonna get out of Ryan Newman most days. And on this day, it was more than enough. 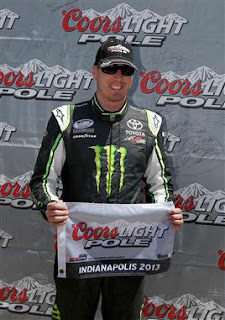 Kyle Busch took the field to the woodshed Saturday, leading 92 of 100 laps from the pole position to win the Indiana 250 NASCAAR Nationwide Series race at Indianapolis Motor Speedway. It was Busch’s 59th career Nationwide Series, his 16th win from the pole (most all-time) and his fifth win from the pole this season, the most in the history of the division. While Busch was in control for a majority of the event, he nearly saw victory slip from the his grasp in the late going when contact with Joey Logano allowed Brian Scott to slip past and take the lead with just five laps remaining. Busch rallied quickly, however, powering past Scott and pulling away over the final three circuits to take the checkered flag by a comfortable margin. Scott finished second, his best Nationwide Series finish in 128 career starts, followed by Logano, Brian Vickers and Kevin Harvick. Paul Menard, Matt Kenseth, Kevin Swindell, Michael Annett and Travis Pastrana completed the Top-10. Vickers claimed the $100,000 Nationwide Dash 4 Cash bonus with his third Top-5 finish in the last three races. Point leader Sam Hornish, Jr. had a rough day, losing an engine after experiencing overheating issues en route to a 34th-place finish, matching his worst result of the 2013 season. Despite a lukewarm 12th-place showing, Austin Dillon assumes the championship points lead by six over Regan Smith. 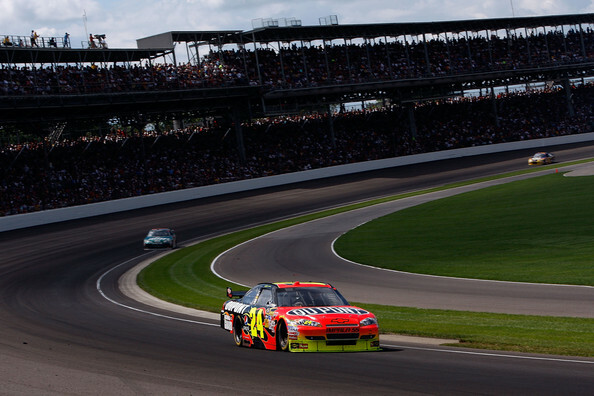 Inaugural Brickyard 400 winner Jeff Gordon said today that the Indianapolis Motor Speedway remains one of the most technically challenging tracks on the NASCAR Sprint Cup Series. “The shape of the track is unique compared to anything else we race on,” said the Indiana native today. “It’s a real technical track and if you are just looking at it, you would assume that all the corners are relatively similar. What you might be fighting in one corner, you would assume you would fight in all of them. But to be honest, all the corners are really different. As odd as it is, they are extremely different from each other. 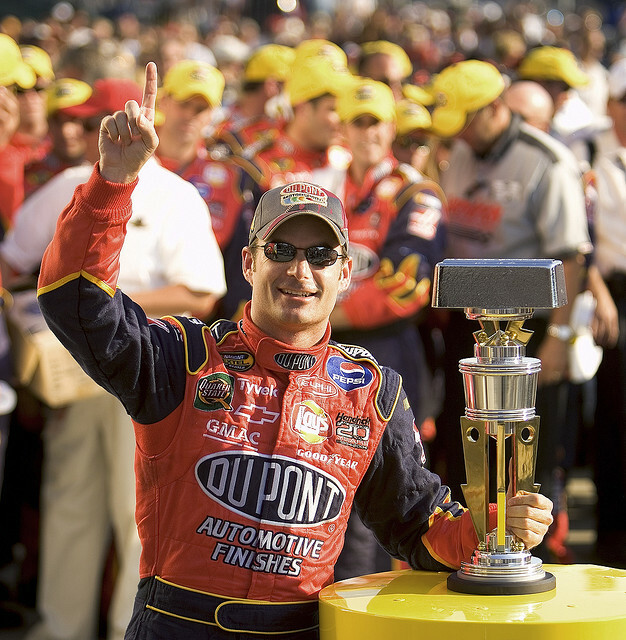 The four-time Sprint Cup Series champion said Indianapolis also ranks near the top of the list in terms of prestige. “There was a time – maybe back in 1994 – where I would have ranked it No. 1,” he said. “But now, looking at the history of our sport, the prestige and all the ingredients that go into making the most prestigious race, you have to rank Daytona first. I would never place anything above the Daytona 500. That is our biggest event, our marquee event. Gordon said he expects the new Gen-6 race car to perform well at the Brickyard this weekend, adding, “We had an opportunity to tire test here with Goodyear and feel what this car is like. It feels good and it’s obviously going to be really fast. Currently 12th in the Sprint Cup Series championship standings, Gordon said he will remain aggressive in the final races of the regular season, in search of his first victory of the 2013 campaign. He also said he will focus exclusively on racing for the win, rather than counting points. 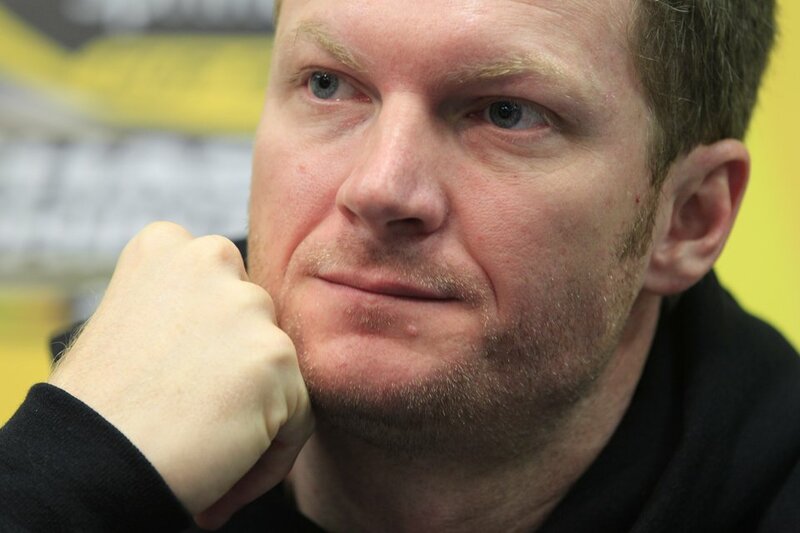 After watching Wednesday night’s inaugural Mudsummer Classic from Eldora Speedway – or at least most of it – Dale Earnhardt, Jr. said today that he would like to see similar events for the NASCAR Nationwide or Sprint Cup Series. “It looked like that was a lot of fun,” said Earnhardt, who owns a three-car Nationwide Series team. “I had it recorded on my TV and it only recorded an hour and a half of it, so I didn’t get to see the last segment. That was disappointing, to say the least, because I had pretty much cut off all contact with anyone who might ruin the outcome for me. “I thought that was extraordinary for the race track, the series (and) the sport,” said Earnhardt. “What a risky and gutsy call to go do that. I thought it was just extraordinary that NASCAR was willing to make the leap and then Tony (Stewart) was there at the right place and the right time with a perfect race track and an historic place to run it. Earnhardt called the Camping World Truck Series “a neat choice (for dirt racing) because of the side force they create with the way the bodies are on the Trucks. I’m not sure how the Nationwide cars or Cup cars would run there. But I think it would be fun for the series to have a couple of dirt races, to be honest. For most fans, the highlight of Wednesday night’s Mudsummer Classic at Eldora Speedway was Austin Dillon’s sterling drive from the middle of the pack to Victory Lane. For many of those inside the sport, however, the high-water mark of the evening came when independent campaigner Norm Benning won a door-slamming duel with Clay Greenfield to claim the final starting position in the main event, with a fifth-place finish in the Last Chance Qualifying race. Benning’s underfunded No. 57 Chevrolet qualified only 27th in the 35-truck time trial field and failed to transfer in his eight-lap heat race. The 61-year old Pennsylvania native started seventh in the 15-lap “do or die” dash, and quickly surged forward into the fifth and final qualified position. He sat on that hot seat throughout the event, staying just ahead of a snarling, four-truck pack of challengers intent on stealing his transfer spot. Clay Greenfield made a pair of banzai-charges in the final two laps, diving under Benning and making heavy, door-to-door contact each time. Greenfield and Benning emerged side-by-side from the final turn, bouncing off each other (and the concrete wall) in a wide-open sprint to the finish. 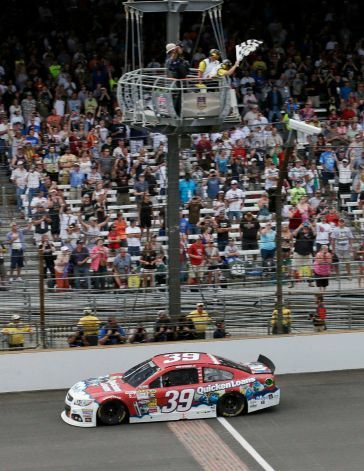 Benning prevailed by approximately three feet, triggering a roar from Eldora’s capacity crowd of 18,000 fans and a torrent of high-fives from the crewmembers and drivers who lined the legendary track’s front straightaway. Unfortunately for Benning, the celebration was short-lived. The left side of his Silverado was badly battered, with exhaust pipes torn from their mounts and dragging on the ground. Almost before he could climb from his truck, crewmen from Richard Childress Racing, Turner-Scott Motorsports, Ken Schrader Racing and numerous other operations swarmed over it, pounding out fenders, changing tires and repairing the broken exhaust. “I couldn’t get to my own truck through all the people working on it,” recalled Benning today. “I want to personally thank each and every one of them. There were so many, I can’t remember them all. But I really appreciate what they did. “I don’t get an opportunity to have a level playing field too often,” said Benning, who began his racing career on dirt at age 15, two years before he was legally allowed to do so. “It wasn’t about aerodynamics at Eldora and it wasn’t about big horsepower. I’d love an opportunity to come out and do it right every week, but I just don’t have the money. While Benning was never a threat to win Wednesday’s Mudsummer Classic, he was competitive throughout the 150 laps. Midway in the event, he passed dirt Late Model standout (and pre-race favorite) Scott Bloomquist for position, a pass that would have paid astronomical odds had anyone been prescient enough to bet a few dollars on it in Las Vegas. It was a move Stewart jokingly called, “like watching an episode of 'The Twilight Zone,’” and it illustrated precisely what is right with the sport. Pocono Raceway announced today Dane Cook, star of the upcoming comedy adventure “Disney’s Planes,” will serve as Grand Marshal for the GoBowling.com 400 on August 4. Additionally, Cook will join Jimmie Johnson, who will drive the No. 48 Lowe’s “Disney’s Planes” Chevrolet SS at “The Tricky Triangle,” at Johnson’s Fan Question-and-Answer session prior to the 400-mile NASCAR Sprint Cup Series race at Pocono Raceway. Cook’s duties as Grand Marshal include several meet-and-greets with NASCAR drivers, race fans and media, as well as, giving the command to start engines for the GoBowling.com 400. Cook voices Dusty, a crop duster who dreams of becoming a high-flying aerial racer in “Disney’s Planes,” which debuts in theaters nationwide on Friday, August 9. Additionally, a crop duster reflecting Dusty’s design will perform the flyover prior to the start of Sunday’s NASCAR Sprint Cup Series race. Johnson, the most recent Cup Series winner at Pocono, will host a fan-driven, question-and-answer session the morning of Sunday, August 4. This year’s Jimmie Johnson Fan Q&A session will take place at the Lowe’s display, located inside Pocono Raceway’s Fan Fair area. Access pass holders will receive a “Disney’s Planes” Lowe’s Build and Grow car, priority access to Johnson & Cook’s question-and-answer session, a chance to win a Pocono Raceway track piece signed by Johnson and the opportunity to preview the trailer for “Disney’s Planes.” Access Passes for the Jimmie Johnson Q&A are available at $48 for family four-pack or $20 for individuals and are on a first-come, first-serve basis. A portion of the proceeds from this Jimmie Johnson Fan Q&A will support “Crossing Abilities” of Monroe County. Crossing Abilities, sponsored by Pocono Alliance, a 501 (c) (3) non-profit organization is a project comprised of volunteers with a collective vision for making a safe, all-inclusive playground a reality in Monroe County. The future site for this playground will be Mountain View Park, located in Tannersville, PA. For more information about this project, please visit www.crossingabilities.org. A Sunday ticket is required in order to purchase an access pass. To purchase tickets and/or Jimmie Johnson Fan Q&A passes, please visit www.poconoraceway.com or call 1-800-RACEWAY (1-800-722-3929). Austin Dillon grabbed a fistful of red clay history Wednesday night, claiming the checkered flag in the inaugural running of the NASCAR Camping World Truck Series “Mudsummer Classic” at Ohio’s Eldora Speedway dirt track. 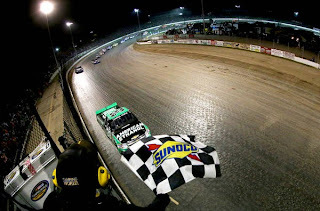 Dillon withstood stiff challenges from youngster Kyle Larson and veteran Ryan Newman in the late going, then survived a green-white-checkered flag restart to win in NASCAR’s return to the dirt for the first time since 1970. 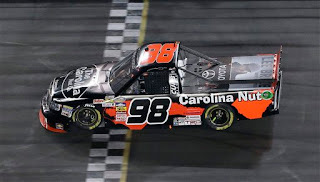 Dillon, a former Truck Series champion with an extensive dirt racing resume, took command when leader Larson made contact with the truck of German Quiroga while attempting to lap him, briefly losing momentum and allowing Dillon to slip past. The two raced wheel-to-wheel for several laps in the late going, but Larson was never able to regain the lead. 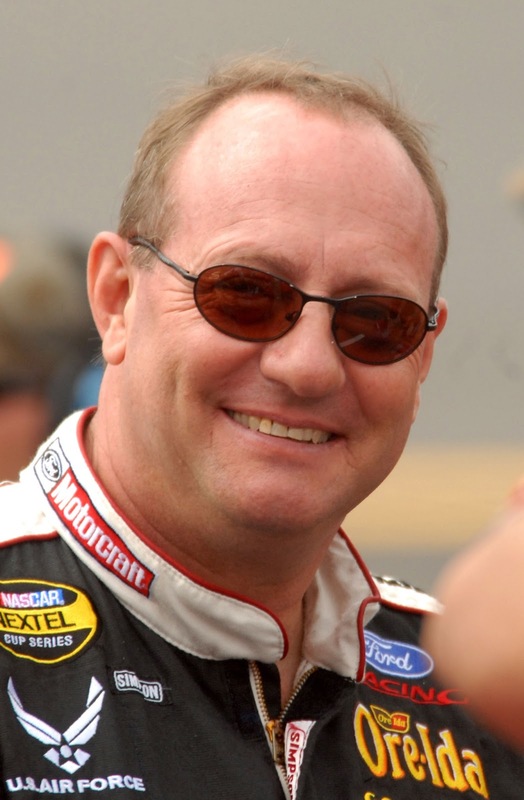 Ken Schrader – who earlier in the evening became the oldest pole winner in series history at age 58 -- led the first 15 laps before being passed by Timothy Peters. Peters paced the next 23 circuits, until a textbook slide job by Larson moved him to the lead. The race was filled with side-by-side racing and contact between trucks, though only on major crash slowed the 150-lap event. That came early in the final, 40-lap segment when outside pole sitter Jared Landers spun on the backstretch and collected Ty Dillon, younger brother of the race winner. Dillon hit the wall, with Jeb Burton and Johnny Sauter also suffering damage. "We had the best truck for sure," said a disappointed Larson afterward. "(But) I got overly excited in lapped traffic and got into the back of somebody and Austin got by." Ken Schrader turned the fastest time in qualifying for tonight's inaugural NASCAR Camping World Truck Series Mudsummer Classic at Eldora Speedway in Rossburg, Ohio. The Fenton, MO, native turned a fast lap in 19.709 seconds at a speed of 91.329 mph, earning his second career NASCAR Camping World Truck Series pole in his 100th career start. His previous pole came at Bristol Motor Speedway in August of 2004, and he now becomes the oldest pole winner in series history at the age of 58 years, one month and 25 days. Schader took advantage of an early qualifying draw, as the sixth driver to take time. Despite setting fast time, Schrader will not necessarily start on the pole for the opening segment of tonight’s Mudsummer Classis. Time trial results serve to set the field for this evening’s five, eight-lap qualifying races. Those races -- along with a 15-lap last chance qualifier -- will determine the starting grid for the 150 lap main event. Schrader must win his heat race to earn pole position for the main. 17 54 Darrell Wallace Jr.
29 9 Ron Hornaday Jr.
35 77 German Quiroga Jr. Final practice is in the books for the NASCAR Camping World Truck Series at Eldora Speedway, and rookie Darrell Wallace Jr. sits atop the speed charts. Wallace’s Camping World/Good Sam Toyota turned a fast lap on the half-mile Eldora dirt in 20.040, at 89.820. Two-time USAC champion Tracy Hines was second, followed by John Wes Townley, German Quiroga and defending series champion James Buescher. Dirt Late Model start Scott Bloomquist was sixth in a Kyle Busch Motorsports Toyota, with series point leader Matt Crafton, Johnny Sauter, Kyle Larson and Brennan Newberry completing the Top-10. Time trial qualifying begins at 5 p.m. ET tonight, setting the lineup for five, eight-lap heat races at 7 p.m. A Last Chance Race will provide one final opportunity to make the field for NASCAR’s first dirt track race since the early 1970s. Live coverage of the qualifying heats is set for 7 p.m. ET on Sirius XM NASCAR Radio, with the main event at 8:30. Joe Shear, Jr. stepped down as crew chief of Johnny Sauter’s Carolina Nut Company Toyota at ThorSport Racing last week, saying a lack of manpower and appreciation led to his resignation. “ThorSport is growing, getting bigger, and I wasn’t very happy with the way they were going and how (the team) was being run,” Shear said. “I got tired of it and decided to make a change. “I resigned,” he said. “It was my call. I just got tired of how things were being run, how I got treated and especially how the guys under me got treated. I’m not trying to bash anybody, but when I tried to talk to (team owner) Duke Thorson, he didn’t want to talk to me. So I made my final decision Sunday, and here I am." Shear said there were “many, many things” within the ThorSport organization that need attention, most notably a lack of qualified crew help. “Basically, I stopped getting the stuff I needed to do (my job); getting the right people underneath me to win races. We had good people and I trained a lot of good people over there, but we just couldn’t get enough people to do it right. Shear said ThorSport’s home base in Sandusky, Ohio, makes it difficult to hire experienced hands for both the race shop and the over-the-wall pit crew. “You really need to be in the Mooresville (NC) area," he said. "It’s not impossible (to find help), but you’ve got to spend money to do it right. I understand Duke’s deal, he doesn’t want to spend tons and tons of money. But I’m a winner and a high-level competitor, and I didn’t feel like I was getting treated well or getting what I needed to do it right. “The biggest thing was getting pit crew members for pit stops,” he said. “I dealt with that every day. The guys that worked under me are really good friends, and they gave 100 percent. But the same guys that worked on the Trucks also did the pit stops, and that’s hard when you’re competing against the bigger teams (with specialized over-the-wall crews). We had a lot of guys come and go, and it’s hard to deal with that and still live up to people’s expectations. It’s a lot of stress, and I got to the point where I couldn’t handle it anymore. Shear stressed that his decision had nothing to do with Sauter, with whom he has won eight times in 91 Camping World Truck Series, including victories at Daytona, Martinsville and Texas this season. “Johnny and I have been best friends forever,” he said. “I love the guy more than anybody in the world. We’ve won tons of races together, and this has absolutely nothing to do with him. He’s very talented, and for some reason, we seem to work good together. I don’t know why that is, but we do, and I’m grateful for it. I wish we could still work together. “I don’t really have anything planned,” admitted Shear. “There’s nothing going on (in terms of a new job). I was born into this sport, and I don’t really know how to do anything else, so I’m looking. I’d love to go to a great organization and do what I do; win races. Busch Says Newman "Raced Me Poorly"
Buescher And Franco...Separated At Birth? Stewart Stunner: He Didn't Do The Split! Earnhardt On Return Of No. 3: "I'm Okay With It."